year-old sick infant was denied berth. The infant was being taken for heart surgery to the Sree Chitra Tirunal Institute for Medical Sciences and Technology. Both the tickets of the mother and father were on waiting list. The infant became seriously ill by the time train reached Malappuram. Though fellow travellers pulled the chain and took the baby to the hospital, the baby could not be saved. लखनऊ: हावड़ा से नई दिल्ली जा रही पूर्वा एक्सप्रेस के 12 डिब्बे कानपुर के रूमा के पास पटरी से उतरने से 14 लोग घायल हो गए. रेलवे ने पूर्वा हादसे की जांच सीआरएस मुंबई (कमिश्‍नर ऑफ रेलवे सेफ्टी) अरविंद कुमार जैन को सौंपी गई है. डीआरएम कानपुर ने जानकारी दी की यह जांच सीआरएस को सौंपी गई है. को सुबह 5 बजे के करीब स्पेशल ट्रेन की मदद से नई दिल्ली के लिए रवाना कर दिया गया है. कानपुर स्टेशन पर उनके खाने-पीने के लिए इंतजाम रेलवे प्रशासन द्वारा करवाया गया. CPRO NCR जीके बंसल के मुताबिक, डाउन लाइन (दिल्ली से हावड़ा) को क्‍लीयर कर दिया गया है. इस समय उस लाइन पर दुर्घटना राहत ट्रेन खड़ी है. कुछ समय में डाउन लाइन पर ट्रेनों का संचालन फिर से शुरू किया जाएगा. वहीं अप लाइन पर ट्रेनों के संचालन को लेकर बताया कि अप लाइन (हावड़ा से दिल्ली) लाइन को क्‍लीयर करने में थोड़ा समय लगेगा और शाम को लगभग 4 बजे तक ट्रैक को बहाल किया जा सकता है. इसके बाद ही ट्रेनों का संचालन शुरू हो सकेगा. Inquiries reveal that the passenger, Jayalakshmi, a resident of Saidapet in Chennai, planned to visit Velankanni along with 16 others and booked tickets in Kamban Express for Thursday night’s journey. However, the group failed to reach the railway station at Egmore on time and missed the train. they boarded Uzhavan Express. When the train ticket examiner inspected the tickets, he directed them to alight from the reserved compartment and board the unreserved compartment to carry on with their journey. Jayalakshmi and others alighted and attempted to board the unreserved compartment of Uzhavan Express at Tambaram where she realized that she had left her handbag containing the jewellery and cash in the reserved coach they had earlier boarded. She could not retrieve the bag as the train started moving out of Tambaram station. Hence, she lodged a complaint with the Railway Police, Tambaram, stating that she had left her handbag containing 20 sovereigns of gold jewellery and cash ₹8,000 in Uzhavan Express. Immediately, the Railway Police at Panrutti was alerted and a team boarded the train. The team found the bag beneath a lower berth in S2 compartment by which time the train reached Kumbakonam. The property was handed over to the Railway Police, Thanjavur, who, in turn, handed it over to the complainant after asking her to come to Thanjavur on Friday. a selfie, where he came into contact with an overhead wire and got electrocuted. His friends reportedly left the spot in complete panic. Khushal, who was shifted to a private hospital, reportedly suffered 80 per cent burns and is critical, say police. Railway police issues stern warning over it The Government Railway Police (GRP) rushed to the spot and took Khushal to the hospital. Says Hemant Bawdhankar, senior inspector CSMT GRP, “Youngsters, who often indulge in such acts atop a train, don’t realise that it is considered to be an offence, as per the Indian Railway Act, Section 156. An awareness needs to be created amongst commuters, so that they can immediately alert authorities when they see a youngster taking a selfie on a train, or stop him from doing so. Climbing on any train — halted or not — can result in electrocution. In January, a boy who was trying to catch hold of a kite, climbed atop a train in CSMT and got electrocuted when a wire touched him.” He adds that the railways is doing its bit to warn people from indulging in such stunts. “We have continuous audio warnings on in every train. Announcements also warn against standing on footboards for selfies, but it is still ignored. A few cases have been registered at Wadala and Vashi. Having said that, people taking train selfies are less than before, it was way higher before.Offenders do not realise that once the video or picture goes viral on social media, we find them out and take action. We want to appeal to everyone, especially youngsters, from taking such selfies as it is extremely dangerous to life. Anything dangerous to life should be avoided at all costs.” Youngsters obsessed with social media are going to extreme lengths in the quest for reckless selfies. Taking selfies on railway tracks, at the edge of the platform or on rooftop of trains is dangerous and is also a punishable offence. People should strictly desist from such acts. One may not only lose his own life, but also cause agony to others— Sunil UdasiChief Public Relations Officer, Central Railway‘If your online ‘likes’ determine your self-worth, you are hooked on to endless selfies’ In a world governed by social media, peer pressure can be toxic. Says Dr Samir Dalwai, developmental pediatrician, Indian Academy of Pediatrics, “We now see four-year-olds taking selfies all the time. Trouble is, if you start at this age, it can get addictive, just like the habit of smoking. It becomes difficult to get rid of this habit, which grows into the teen years.” He elaborates further, “The selfie is trying to show the world, ‘the beautiful me’, where one is trying to get appreciation from others. In an increasingly isolated world, devoid of human connect and social communication, if the ‘likes’ on your social media accounts determine your self-worth, you get hooked on to endless selfies. Once in a while if you wear a nice shirt and take a photo it’s fine, but if you get atop a train for a selfie, it’s being reckless.” He highlights another hidden danger. “When you just lean out of a train, you may see a pole near you, but when you are taking a selfie you are shutting off all your danger antennae. While taking the picture, you don’t realise how far out of the edge you may have gone. Similarly, the boy who just got burned may not have noticed the electrical wires that he touched, as his attention was diverted to the phone.” ‘Kids want to say how they are different or more daring than others’Psychiatrist Dr Pavan Sonar adds, “It stems from a need for being famous fast. Kids want to notch up ‘likes’ and show how different or daring they are from others with their selfie stunts. And they develop an inferiority complex when they get lesser or no ‘likes’. Taking high risks also increases dopamine in the brain, which makes you feel this is a great task. What augments the danger is when people drink, do drugs and then take selfies — that is deadly! Six months ago, a youngster drove at more than 100 kmph for a snapchat video. He crashed and died. It was all for that ‘acknowledgement’, which cost him his life.”He also says parents and teachers need to counsel their kids. “It is crucial to talk about social media risks at schools and colleges. Open discussion and dialogue is the need of the hour. While the older generation may not take selfies or relate to them, it is they who play an important role in conveying the dangers to the new gen,” he adds. 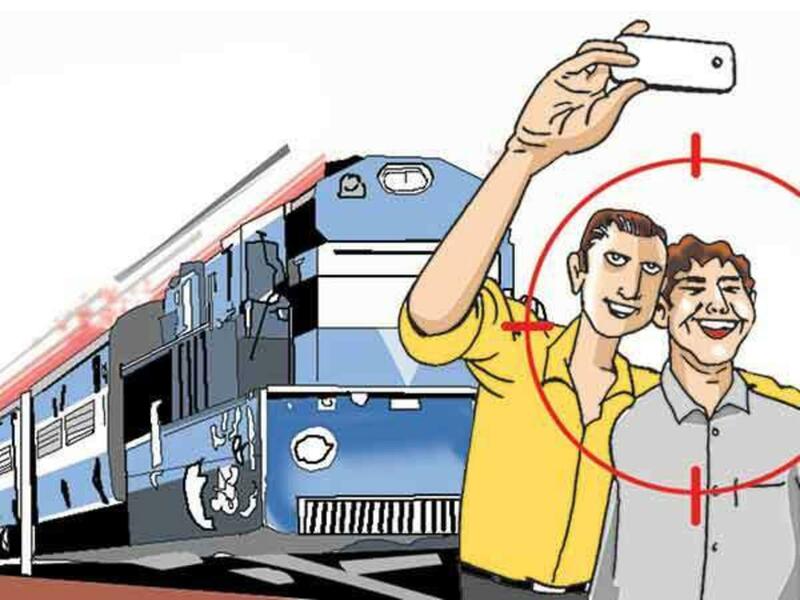 Other cases of the reckless selfie quest T Siva from Hyderabad ignored warnings as he took a 21-second-long video standing in front of a fast-approaching train and suffered head injuries. In 2018, a selfie video showed a group of teenagers performing dangerous stunts on Mumbai locals and even snatching a mobile from a commuter standing on the platform. It had gone viral. In Hyderabad last year, gym trainer T Siva ignored warnings as he took a 21-second-long video with a train approaching him. In the video, you can hear a clear voice from a person warning him as well as repeated blaring of the train horn. He continued filming, saying “one minute”. The train struck him hard and he suffered head injuries. In October 2017, three teens got run over by a train while trying to take a selfie in Karnataka. Two teenagers were also killed while taking selfies on the railway tracks in Delhi. In 2014, Sahil Chandrakant Eshwarkar, 14, from Mumbai, got electrocuted while attempting a selfie from a train rooftop. 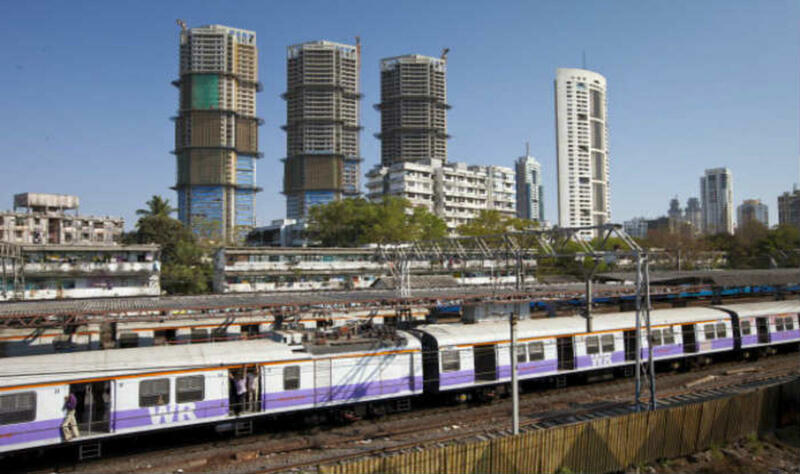 Mumbai Mega Block: The local train services on Central Line, Harbour Line and Western Line will remain affected on Sunday, April 21, in the view of the mega block carried out for the maintenance of infrastructure and safety of railway tracks. The Indian Railway Catering and Tourism Corporation (IRCTC) has issued an advisory, urging the people to follow it to avoid inconvenience. the Central Line, the Down slow line local trains leaving Matunga from 10.57 am to 3.52 pm will be diverted o­n Down fast line between Matunga and Mulund stations. These trains will halt at Sion, Kurla, Ghatkopar, Vikhroli, Bhandup and Mulund stations and further re-diverted to Down slow line proper at Mulund station. Further, the local train services on Down slow line services will not be available at Vidyavihar, Kanjur Marg and Nahur Stations. However, the passengers of these stations will be allowed to travel via Ghatkopar, Bhandup and Mulund stations. Additionally, the Up fast/semi fast local trains leaving Kalyan from 10.54 am to 3.06 pm will halt at Diva, Mulund, Bhandup, Vikhroli, Ghatkopar and Kurla stations in addition to their respective scheduled halts and arrive destination 15 minutes behind schedule. The IRCTC, in its notification, also said that the Down fast/semi fast local train services leaving CSMT Mumbai from 10.48 am to 3.40 pm will halt at Ghatkopar, Vikhroli, Bhandup, Mulund and Diva stations in addition to their respective scheduled halts and arrive destination 20 minutes behind schedule. It added that all Down and Up slow services leaving/arriving CSMT Mumbai between 11.00 am and 5.00 pm will arrive destination 10 minutes behind schedule. On the Harbour Line, the Down line services to Vashi / Belapur /Panvel leaving CSMT Mumbai /Vadala Road from 11.34 am to 4.23 pm and Down line services to Bandra/Goregaon leaving CSMT Mumbai from 9.56 am to 4.16 pm will remain suspended. 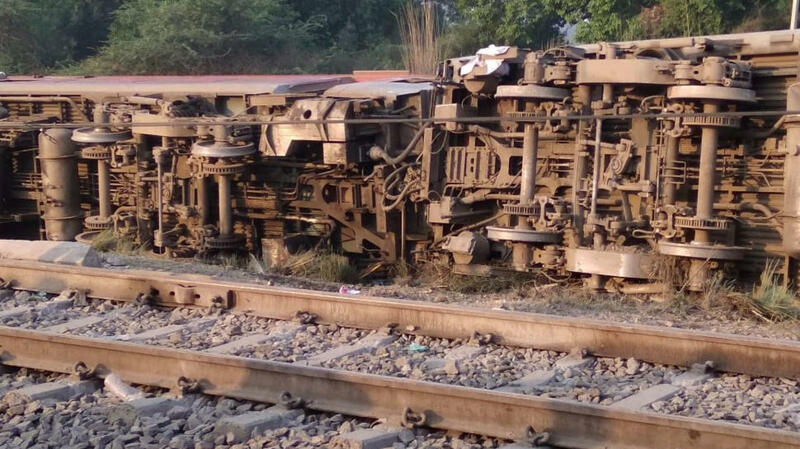 Meanwhile, the Up line services for CSMT Mumbai leaving Panvel/Belapur/Vashi from 9.53 am to 2.44 pm and Up line services leaving Bandra/Goregaon from 10.45 am to 4.58 pm will also remain suspended.The IRCTC, however, announced that special services will run between Panvel and Kurla (Platform number 8) during the block period, adding that the passengers will be permitted to travel via Main Line and Western Railway from 10.00 am to 6.00 pm during block period. On the Western Line, a Jumbo block will be taken on Up and Down fast lines between Churchgate and Mumbai Central Local stations of Western Railway from 10.35 am to 03.35 pm on Sunday. The same will be carried out to carry out maintenance work of tracks, signalling and overhead equipment. During this, all fast line trains will be operating on slow lines between Churchgate and Mumbai Central (Local). Also, cancellation of some Up and Down suburban trains is also scheduled.